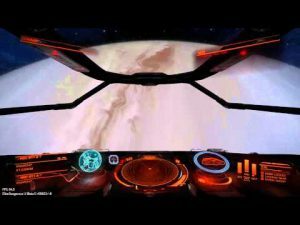 Vice President, Bart Roberts, along with the Chief Executive Officer of Sienar Fleet Systems, Silus Nidor, walked into the Sienar Conglomerate press corp briefing room promptly at 11:00 am galactic standard time. The chatter in the room dropped off quickly as the Vice President took the podium. Good morning, ladies and gentlemen of the KNN press corp. 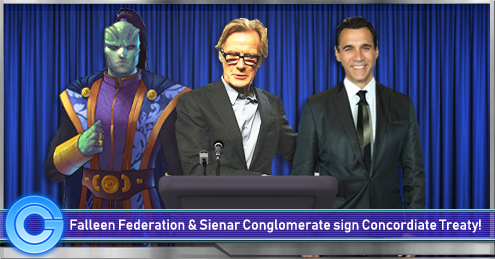 I am pleased to announce that Sienar Fleet Systems has joined the Sienar Conglomerate. I am thrilled to finally see the Companies that Raith Sienar built so long ago back under one banner. I am also honored that this momentous occasion has happened on my watch as I am sure CEO Nidor is as well. We have worked alongside Sienar Fleet Systems for some time now. It is good to see our friendship grow into a partnership. While we still have some final details to work out, I think we can all agree that this partnership will strengthen both the Conglomerate and Sienar Fleet Systems. I do look forward to working with CEO Nidor and his team over the coming weeks to hammer out the final details of this deal. In the meantime, I ask everyone to give Mr. Nidor and his staff a warm welcome into our fold. I will now turn over the podium to CEO Nidor for his comments. Vice President Roberts stepped back, turned to CEO Nidor and motioned for him to take the podium. Good Morning, thank you for the kind introduction. It is with great honour that I feel that i’m returning Sienar Fleet Systems to its rightful place as a proper part of the Sienar Conglomerate. I have personally been involved with the ship manufacturing industry for more years than I can count, in that time I have had the honour of working for some of the largest Ship manufacturers in the Galaxy in Transgalmeg Industries and being 2IC of Corellian Engineering Corporation before forming Zonama Sekot Shipbuilders which became Sienar Fleet Systems when I was fortunate enough to acquire the name for a few years back. I have also had the pleasure of knowing Vice President Roberts for many years and admire the work he has done in turning the Conglomerate into one of the largest independant Manufacturers and suppliers of Items in the Galaxy. 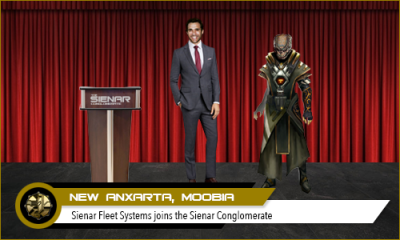 I hope that by joining into this alliance and rejoining Sienar Fleet Systems with the Conglomerate that it will help bring even more opportunities and prosperity to all involved. Once again Thank you to Vice President Roberts and everyone else who I have had the pleasure of meeting so far for making myself and my Colleagues feel very welcome and at home already. As CEO Nidor finished his comments and stepped back from the podium the two gentlemen shook hands as several camara droids buzzed around taking pictures. 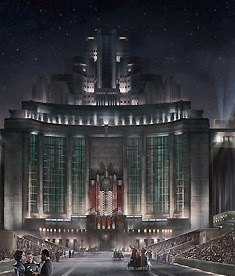 As nightfall drew in over the skies of Taanab, only the whistling of fireworks could be heard above the revelry of crowds below, where at the Trade Federation Palace, just a few hours earlier, representatives of the Galactic Concordiate had met to finalize the treaty which would admit two new members to the group: the Falleen Federation and the Sienar Conglomerate. It was widely hoped that the recent shakeup of the bloc would renew interest in its ability to act as a guarantor of stability and peace, and kindle an era of closer cooperation amongst neutral powers. The Falleen Federation’s admission to the group was therefore considered a major success of the alliance’s reforms. The parallel application of Sienar was, however, considered a surprise, given the Conglomerate’s history of independent neutrality. Six of the larger governments and corporations spread across the galaxy have now signed up to the ‘third way’ encapsulated by the Second Treaty of Forsetti, making the Second Galactic Concordiate one of the largest organisations in galactic history. A crowd of reporters and citizens gather in the Sienar Conglomerate press room as Bart Roberts steps up to a podium baring the seal of the Sienar Conglomerate. Four people join him standing to the right of the podium. The Vice President took a minute to organize some items on his data pad before looking up at the gathering. He smiled warmly to the crowed as he began to speak. Bart then turned to the 4 people standing slightly behind and to the right of the podium. Population in Chalacta explodes as Tibannagas Prices soar in the Kastolar sector. The Sienar Conglomerate Bureau of Trade (SCBT) has today unveiled a new analysis about the Chalacta system mining boom using data from the Y 17 Census. The Sienar Conglomerate Bureau of Trade (SCBT) report has shown that Chalacta is among one of the systems that have experienced the fastest population growth in Kastolar since the last Census. Seeing a growth of over 6 billion sentient beings in the past year alone. 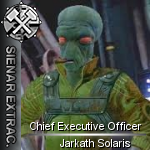 “The Sienar Conglomerate Bureau of Trade (SCBT) report shows that unlike the rest of Kastolar, where females outnumber males, Chalacta System has more males. For example, more than two-thirds of people staying in Chalacta on the Y 17 Census were male. The study also shows that the majority of people in fast growing mining systems are in their prime working years between 25 and 54,” he said. “You can bet that as long as the Tibannagas prices stay up, we will see continued growth in the Chalacta system.” Vice President of the Sienar Conglomerate, Bart Roberts concluded. As of the time of this press release, the military group, The Sector Rangers, has joined the Sienar Conglomerate as full members. Conglomerate President, Drey Exodus, announced this during a short speech. This marks something more then a simple merger, it places the Kastolar sector under one flag and all the citizens of the Kastolar sector now have full rights and benefits of the Sienar Conglomerate. It is truly a great day for us all. We look forward to working with our brothers and sisters in Sector Rangers in the future for the betterment of Kastolar and our holdings in the Halla sector. In a short interview after President Exodus’ speech, Vice President of the mega corp, Bart Roberts, had this to say. Sector Rangers has been a long time ally and close friend of the Conglomerate. Their full membership in the Conglomerate is a natural progression in our partnership and we look forward to growing this partnership and welcome them to this great family. Grand Marshall, Axe Vulcan, Commander of the Sector Rangers, will assume command of the Conglomerate military forces. The Sector Rangers will undertake the responsibilities of the protection of the Conglomerate boarders along with the system security. 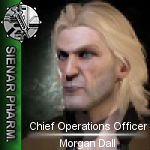 This merger will include the joining of the Sienar Security Force with the Sector Rangers. SR will also be involved with military development and construction projects across the Kastolar and Halla sectors. The press gathers in the news briefing room at the Sienar Conglomerate Capital building. 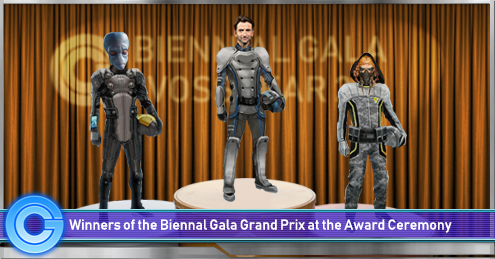 Also present in the room are President Exodus, to his right stands Vice President Roberts, to his left Sienar Extractions CEO Tessa Kay, Sienar Pharmaceuticals CEO X`ya Django, and another man not recognizable to many outside of Sienar – John Tacker. Above and behind the group the holographic image of the great seal of the Sienar Conglomerate slowly spins. President Exodus appears to be smiling and nodding in Trackers direction, but appears to be interrupted as he halts and looks directly into the camera, never loosing the smile. The press secretary steps up to the podium and begins speaking. Ladies and gentlemen of the press. 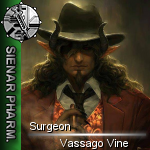 Today the Sienar Conglomerate is happy to announce a big addition to help the citizens of the Sienar Conglomerate. I introduce to you, Drey Exodus, president of the Sienar Conglomerate. Everyone in the room stands in respect of President Exodus as he enters the room. Drey steps to the podium, shakes the hand of the press secretary, then turns and smiles warmly to the members of the press corp.
Sentinents of the galaxy, fellow Sienarians, I am extremely excited to announce the establishment of a new Banking Institute today, formed by and for Sienar Members, which will be known henceforth as the Central Bank of Kastolar. In charge of this new bank, I hereby announce John Tacker as Finance Manager. Congratulations, Tacker, on seeing your dreams come to fruition! Drey gestures for John to come forward, and as he does shakes the man’s hand as they both smile for the cameras. Drey yields the podium and John steps up, nods and clears his throat before continuing. …nobody in this room knew anything about me when I joined Sienar Conglomerate. I was a young, inexperienced pilot with a great will to work, to create, to build. I “deposited” to them my vision and they offered me the most valuable good an employer can offer to an employee: freedom! The freedom to express my thoughts, my dreams and my creativity. In this great family, I found the stimuli on the face of illuminated teachers as Bart, as Tessa, as X`ya and of course, as President Exodus. So, today, Ladies and Gentlemen, Sienar Conglomerate honors me deeply by giving me the chance to present to you the Central Bank of Kastolar. A project that got life after a long time of hard work. A tool that will offer you the chance to realize your visions. We don’t want you to deposit just your money, we want you to deposit your passion, your dream and we will make it true! 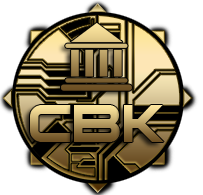 Above the podium and along side the Sienar Conglomerate seal the seal of The Central Bank of Kastolar fades in. The room erupts in cheers. 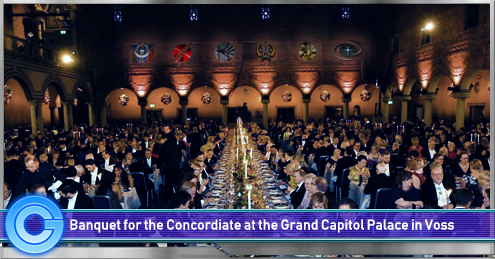 The air in the room is festive as all of the Sienar Conglomerate prepares for the launch of it’s newest warship. The name and hull number have been kept under wraps since the Sienar Technologies Ship Yards laid the keel months ago. The room goes quiet as Vice President Bart Roberts steps forward and speaks to the gathered crowd. Vice President Roberts steps back from the podium and hands Ambassador Chancellor Barefoot a small data pad with a blinking red button on it. Stephanie presses the button releasing the magnetic moorings holding the BB 17 in position within the confines of the shipyard. Maneuvering jets fire pushing the new warship out into space. 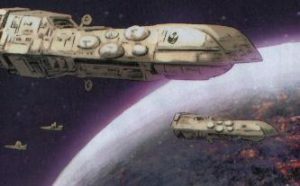 As the [SC] Stephanie Barefoot drifted into view through the large observation view ports built into the side of the station, everyone in the room is awe struck by the sight of the Dreadnought class warship floating in silence with the capital world of the Sienar Conglomerate serving as the back drop. Sienar Conglomerate releases new ordering system and services. 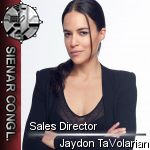 Sienar Conglomerate, one of the largest and oldest production corporations in the galaxy, announces today the release of a new sales system for the Conglomerate. This new system will revolutionize how Sienar clients order products, set delivery locations and order tracking. Drey Exodus, President of the Conglomerate, said the following when asked about the new system: “It is our goal to offer our clients the best service in the galaxy. 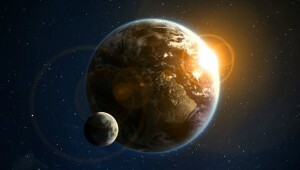 The introduction of our new ordering system will allow us to to extend a first class service the the greater galaxy”.